Honestly, I never thought I liked cooking. 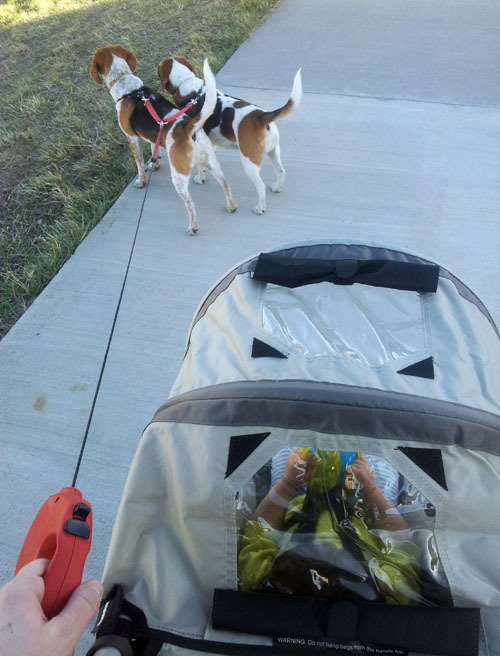 It was such a chore. It was always so messy. It was so tedious. I wasn't very good at it. I was always missing ingredients. But what I realized is: I just hate following a recipe. I like being creative. I like trying new things. I like problem-solving. I like discovering how flavors blend. 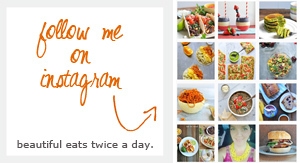 I like creating meals based on ingredients I have available (so shopping for good staples is key!). I like feeling accomplished when something turns out perfectly (like my Honeydew Caprese Salad!) All that is to say - I've been having FUN with cooking these past couple of weeks. 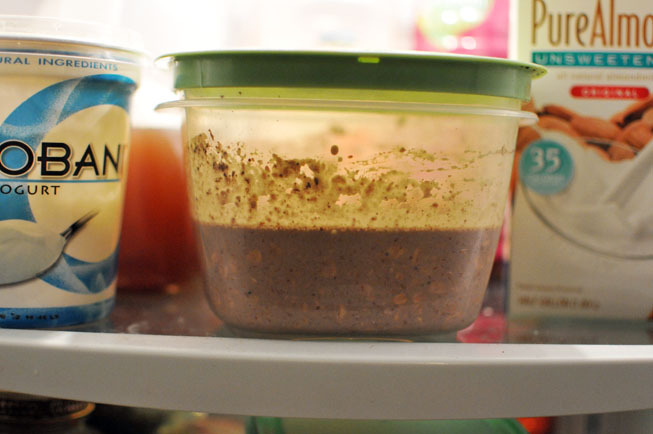 I've been seeing the phrase "Overnight Oats" throughout the healthy-living blogosphere over the past few weeks. No cooking, prepare in advance, and wake up to a delicious breakfast? Sounds good to me! The only problem??? I needed to go shopping! I'd never bought "rolled oats" in my life. I "started" with this original idea and then substituted and changed a lot of the ingredients/measurements b/c that's what I DO! :) I was skeptical but pleasantly surprised at the outcome. Cover (with lid or foil) and put in the fridge overnight. 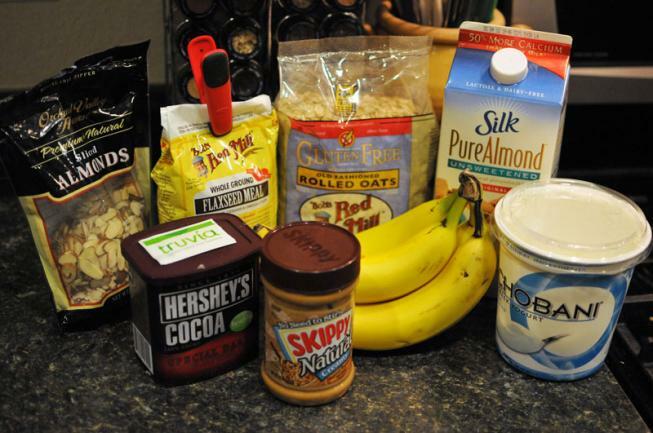 Night-night oats! Do your thang!! In the morning, I was delighted to find a nice thick consistency. I microwaved the mixture in a ceramic bowl for 30 seconds to take the chill off. 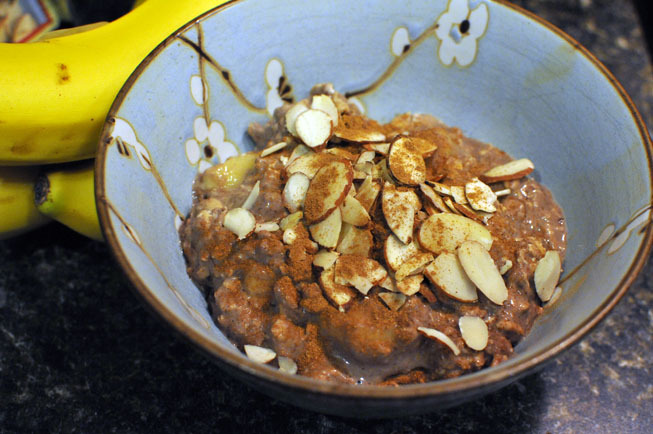 Then I topped it with cinnamon and sliced almonds. It was really yummy! 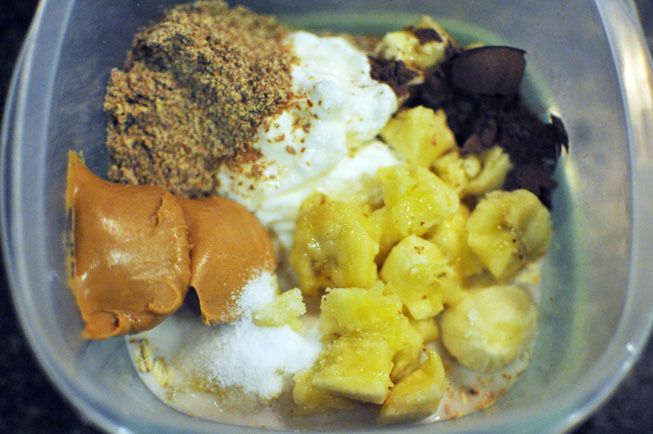 I will definitely be experimenting with different combinations/toppings in future weeks. This beats the heck out of "Quaker Oatmeal"!!!!!!! PS. Is it a bit ironic that the person who says she hates following recipes (me!) 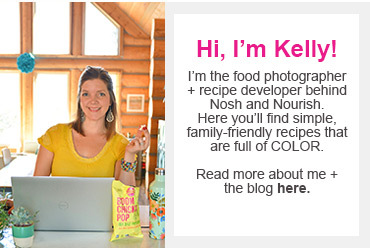 is posting RECIPES on her blog for you to follow? Hopefully you actually enjoy following a good recipe! When was the last time you "strayed" from a recipe? Did it turn out well? 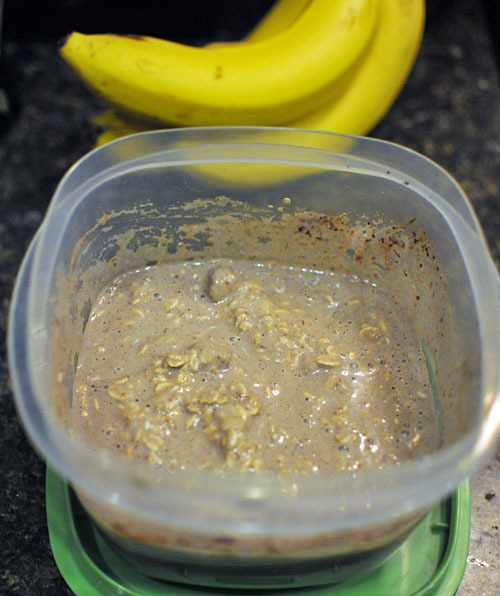 Have you ever had Overnight Oats? If so, what are some of your favorite combinations?